Reputable sports facilities and contemporary amenities make it easy for planners to choose this capital city for their next sports event. Spirit Communications Park is home to the Columbia Fireflies, a Minor League Baseball team. The following article appeared in the South Carolina State Sports Guide. Download the full guide below. 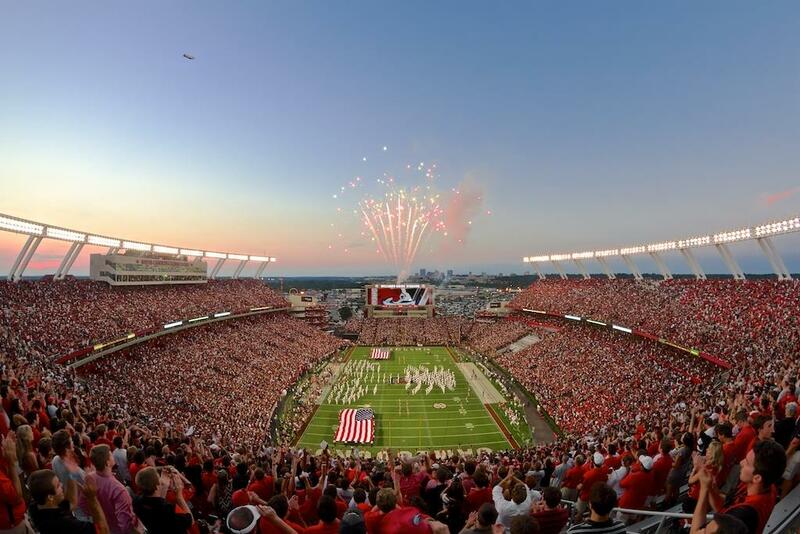 Columbia, South Carolina is a destination that has been attracting sports planners and teams for decades, namely for its reputable and renowned sports facilities at the University of South Carolina, home to the Gamecocks sports teams. Other than the university’s award-winning sports facilities, Columbia has a number of athletic centers and recreational parks for indoor and outdoor sporting events. 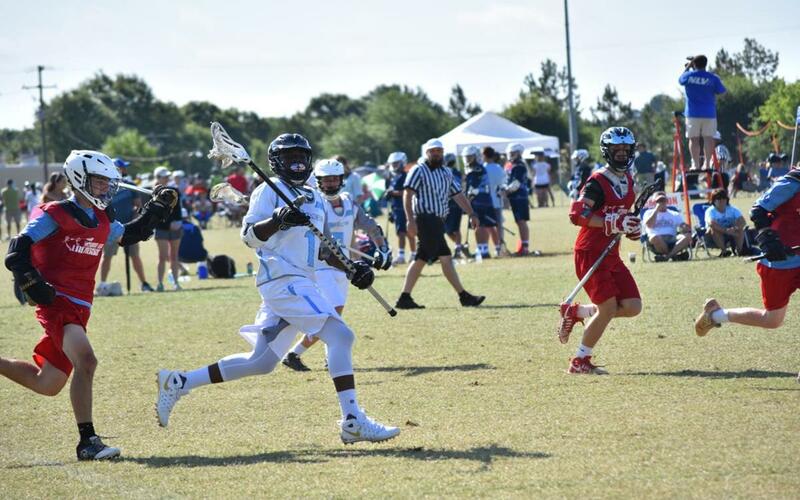 When teams aren’t practicing or participating in games and tournaments, there are endless exciting, educational and outdoor activities to take advantage of during downtime. Columbia isn’t just a hub for sports; it’s also a great place for families to enjoy an outdoor picnic, go on a hike, rent kayaks or explore the capital city’s boundless national and local parks. Lake Murray in particular is a favorite South Carolinian pastime riddled with 500 miles of jagged rocks, a sandy shoreline and swampy marshlands. Columbia epitomizes the notion of Southern hospitality, and a huge part of that desired Southern hospitality involves homemade Southern cooking. Sports planners and families will have no problem finding the best local eateries offering an array of culinary creations, with various food districts filled with some of the best Southern cuisine in the state. A city with an incomparable Southern charm, Columbia also offers several contemporary accommodations options only to be found in an up-and-coming capital city. Home to the South Carolina Gamecocks football team, Williams-Brice Stadium was originally constructed in 1934, and with its recent renovations completed in 2012, has the capacity to seat nearly 85,000 spectators. Further renovations at the stadium include expanded stadium seating with 8,000 additional seats, supplementary office space, new athletic training facilities and locker rooms. As the 20th largest college football stadium in the NCAA, the sporting facility remains the pride and joy of South Carolinians. It has been the playing field for several great athletes that went on to the NFL, including Heisman Trophy winner George Rogers. A multi-purpose arena primarily home to the University of South Carolina’s men’s and women’s basketball teams, Colonial Life Arena seats 18,000 spectators and hosts a variety of other events, including conferences, concerts and graduation ceremonies. As the largest arena in the entire state and the eighth largest college campus arena in the nation, Colonial Life offers sports teams a renowned and reputable facility with top-notch amenities, such as handicap seating and parking, restrooms, assisted listening devices and concession services. The arena hosts the annual South Carolina High School Basketball Championships, and in 2003, was ranked 22nd in the world for ticket sales by PollStar Magazine, selling 216,679 tickets to its events. 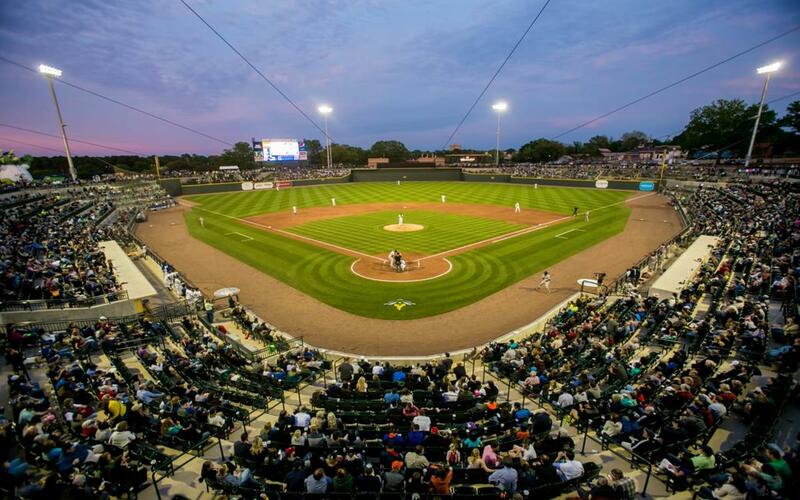 As the stomping grounds for the Minor League Baseball team Columbia Fireflies, Spirit Communications Park was recently established in 2016 and can seat 9,077 spectators. In its opening year, Ballpark Digest deemed the facility “Ballpark of the Year.” This was only the second time the award was ever given to a ballpark in its first year. With retractable garage doors, year-round batting cages are available for rent for a maximum of 20 batters at a time, with bats and helmets provided by the park. For outdoor sports, look no further than Palmetto Health Fields at Saluda Shoals Park. Situated on a 480-acre riverfront park, Palmetto Health Fields feature a six-field soccer complex and six clay tennis courts. Built to support modern competition, the park’s sports facilities feature natural turf fields, state-of-the-art lighting, extraordinary field visibility, Wi-Fi access and plenty of available parking. A pavilion with restrooms and concessions are accessible on site, and there are 10 miles of multi-use trails for biking, hiking, fishing and cross country meets throughout the park. 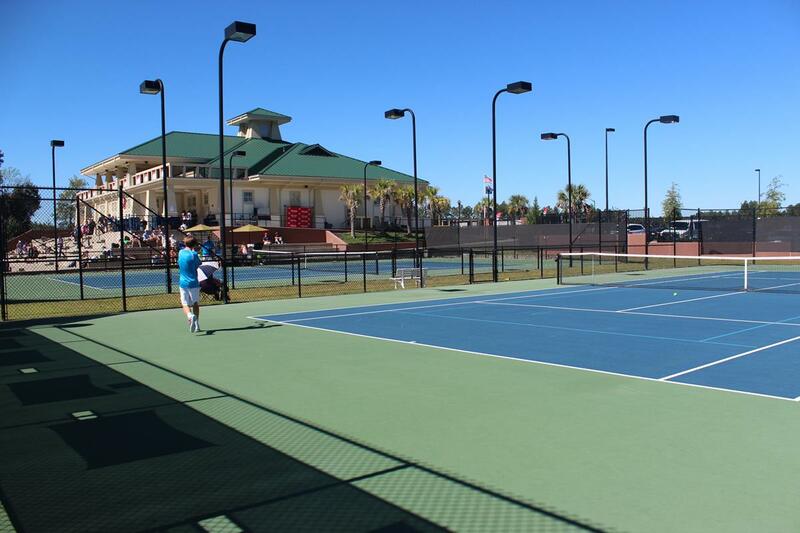 A one-stop shop for traveling tennis teams, Cayce Tennis and Fitness Center is a world-class and reputable facility with 30 lighted tennis courts and a championship-sized stadium court with a viewing capacity for approximately 500 spectators. Seven courts are dedicated to younger tennis players eight years of age and below. Amenities on the courts include electrical outlets for ball-machine use, small central gazebos, trash cans and iced water coolers. Within the fitness center are men’s and women’s locker rooms, patio viewing of the stadium court, free available Wi-Fi throughout the facility and a fully-stocked pro-shop with state-of-the-art stringing equipment. Located 20 miles southwest of Columbia, Lexington Sports Complex comprises Ball Park Road Recreation Complex, a multi-use facility with baseball, softball, tennis and basketball opportunities. 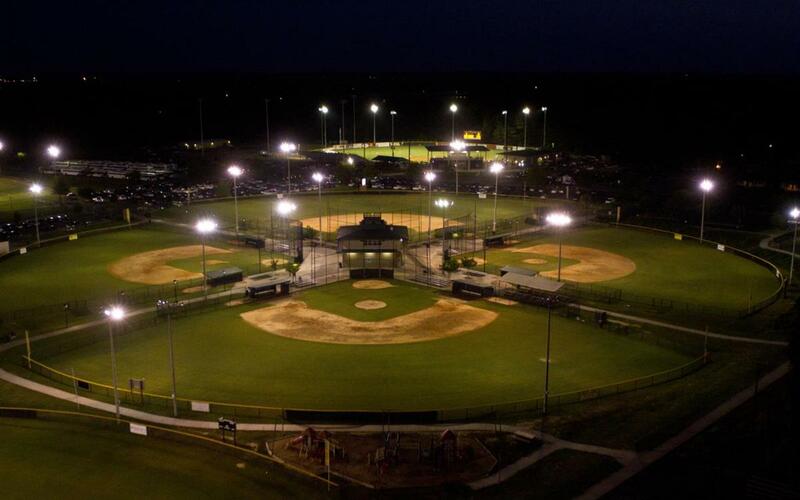 The complex features 13 various types of fields, with five youth baseball fields, four softball fields, one intermediate field, one regulation field and two T-ball fields. All fields feature cutting-edge lighting systems, plenty of spectator seating and on-site parking. Furthermore, there are four hard lighted tennis courts located within the complex. 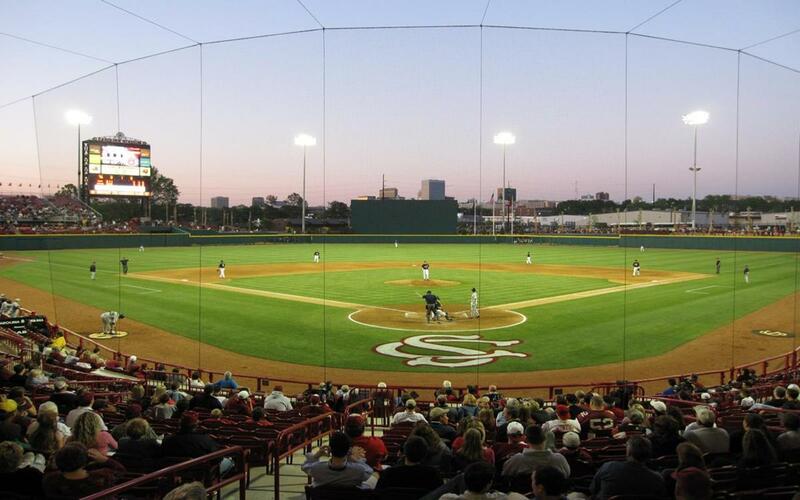 A stadium situated at the banks of the Congaree River, Founders Park is home to the University of South Carolina’s Gamecocks baseball team. With the capacity to seat 8,242 guests in total, the park is overflowing with ultramodern facilities, including one of the largest and most advanced weight rooms in college baseball at 3,900 square feet, indoor batting cages with a working mound and a player lounge with couches, chairs, a Ping-Pong table and several TVs for athletes to relax before a big game or tournament. Further amenities at the park include a team clubhouse, coaches’ offices and a sports medicine room. Though the most important factor for planning a sports event is arguably the facilities a city or region has to offer teams, it is equally as important to consider what players, prospective family members and spectators can enjoy in their downtime. In Columbia, there are a number of fun and educational experiences for all ages, including Riverbanks Zoo and Garden, a hands-on, interactive experience for the whole family to enjoy. With discounted prices for groups, teams can retreat to a refreshing water extravaganza at the Waterfall Junction, soar through the trees on a zipline tour and gaze upon an array of exotic animals from every continent in the world. Providing an educational environment that entertains, inspires creativity and imagination and enriches the lives of its visitors, South Carolina State Museum has an extensive exhibit depicting South Carolina art, a collection of historical astronomy, a 55-foot digital dome planetarium and a 2,500 square foot observatory. At Columbia Museum of Art, unparalleled art exhibits filled with educational opportunities are on display, such as Hiroshi Sugimoto’s Time Exposed and Jackson Pollock’s 20-foot Mural painting. Another outstanding educational experience, Historic South Carolina State House is the state’s seat of government and offers free guided and self-guided tours of the historic building. A boating paradise, Columbia’s Lake Murray is a 50,000-acre reservoir with 500 miles of shoreline containing endless kayaking, canoeing, sailing and fishing opportunities. And let me just say you are the BEST CVB I have ever worked with in all the cities I handle tournaments in the Southeast! We are really for Experience Columbia SC Sports! You and your team are to be commended for your hard work. We can’t thank you enough for your care, energy and time. Tremendously appreciated, thank you so much. CRSC is an amazing partner – friendly staff, responsive to questions, full of great ideas for our event, and always ready to help! By Car: The three major interstates that run through Columbia and are easily accessible from anywhere on the Eastern corridor are I-26, I-77 and I-20. If coming from the West Coast, take I-70. Major cities located within a five-hour drive from Columbia are Atlanta, Jacksonville, Savannah, Charlotte and Montgomery. By Air: Conveniently located approximately 10 minutes from downtown Columbia, Columbia Metropolitan Airport (CAE) is the region’s leading commercial airport with 35 daily non-stop flights from eight destinations. Other airports within 100 miles from Columbia are Charleston International Airport (CHS), Charlotte Douglas International Airport (CLT) and Augusta Regional Airport (AGS).